A printable PDF version from the September 2017 business meeting can be found here. The name of the organization shall be the State Data Center Program Steering Committee (hereafter referred to as “the Steering Committee”). 2.1 To represent the interests of the member agencies of the State Data Center Program. 2.2 To advise the Census Bureau on the administration and operation of the State Data Center Program. 2.3 To assist the Census Bureau in planning the operations, subject content and data products of future decennial censuses, the American Community Survey, economic censuses, censuses of governments and various other surveys and programs. 2.4 To assist the Census Bureau in the development and testing of software applications. 2.5 Together with the Census Bureau, to plan and conduct the Annual State Data Center Conference and Steering Committee meetings. 2.6 To improve the flow of information and ideas among the individual member agencies and between the member agencies and the Census Bureau. 2.7 To ensure that the existence of the Steering Committee shall not discourage, hinder, or preclude direct contact between individual member agencies and the Census Bureau or any other organization. 3.1.1 The Steering Committee shall conduct a meeting either in person or via conference call at a minimum of once per month unless rescheduled or canceled by the Chairperson. 3.2.1 The Steering Committee in conjunction with the Census Bureau will plan the format, agenda, and dates for an annual meeting of the Lead organizations. 3.3.1 The Chairperson of the Steering Committee, in cooperation with the Census Bureau, will conduct a business meeting for the State Data Center Program at least once per calendar year. 3.3.1.1 Participation at the annual business meeting is open to any representative from the State Data Center network. 3.3.1.2 The purpose of the business meeting is to brief the network on activities and to receive input from the network. 4.1.1 Representatives of the State Data Center Lead Agency and Coordinating Agencies are eligible for nomination to the Steering Committee as a representative of their member geography. 4.1.1.1 Member geographies include member states, District of Columbia, Puerto Rico, and the Island Areas that have a signed Memorandum of Agreement for participation in the State Data Center Program on file at the Census Bureau (hereafter referred to as “the member geographies”). 4.1.2 The Steering Committee membership shall be limited to one representative per member geography. 4.1.2.1 A representative is not limited to a member geography’s primary contact. Any employee of a Lead or Coordinating Agency is eligible. 4.1.2.2 In the event that more than one person runs for the Steering Committee from a member geography, or a member geography is already represented on the Steering Committee, only one person may serve at a time. 4.1.3 Eligibility status for the Steering Committee is contingent on the elected representative’s continued employment by the named agency from which the representative was elected. 4.2.1 The Steering Committee shall consist of nine (9) members elected at large from the member geographies. 4.2.2 Elected members of the Steering Committee shall serve a term of three (3) years. Steering Committee members’ terms end and begin at the start of the first Steering Committee meeting after the election results are finalized. 4.2.3 The elected members may serve two (2) consecutive three (3) year terms. 4.2.4 The Steering Committee members are required, after serving two (2) consecutive three (3) year terms, to wait for two (2) consecutive years prior to running for re-election. 4.2.5 If the immediate past Chairperson is ineligible to run for the Steering Committee or is not re-elected to the Steering Committee, he/she may serve in an advisory position to the Steering Committee with the majority vote of the full Steering Committee, for the year immediately following the end of his/her term. 4.3.1 In the event that a currently serving member’s eligibility status changes, that member shall vacate his/her seat on the Steering Committee. (The term shall be considered “interrupted” until the vacated seat has been filled and the interrupted term has run out). 4.3.2 If a vacancy occurs on the Steering Committee, it shall be filled by the unelected candidate receiving the next highest number of votes in the most recent completed election of Steering Committee members. This candidate will be assigned to serve the interrupted term of the vacated seat. (This procedure of filling a vacated seat on the Steering Committee shall be referred to hereafter as “filled by default”). This process continues until the list of past election candidates is fully exhausted. 4.3.2.1 An exception to rule 4.3.2 of the Steering Committee By-Laws occurs if the next highest vote receiver is from the same member geography as an existing Steering Committee member. If this is the case, then this unelected candidate would be passed over for the vacated seat on the Steering Committee. 4.3.3 If no unelected candidate as described in rule 4.3.2 of the Steering Committee By-Laws is available, then the Steering Committee Chairperson shall appoint a person who is eligible to serve the remainder of the interrupted term. The Chairperson’s appointment shall be ratified by a majority vote of the members of the Steering Committee. (This procedure of appointing an eligible person to a vacated seat on the Steering Committee shall be referred to hereafter as “filled by appointment”). 4.3.4 Whether a vacated seat on the Steering Committee is filled by default or is filled by appointment, the time spent completing the interrupted term does not count towards that Steering Committee member’s eligibility to run for (2) consecutive full terms after the interrupted term has run out. 4.4.1.1 All members of the Steering Committee will serve to promote the benefits of serving on the Steering Committee and distribute information about the committee’s duties and obligations. Information will be distributed to all eligible agencies and volunteers will be solicited to stand for election. The nomination process for available Steering Committee seats shall commence by November 1st. 4.4.1.2 The deadline for nominations for the Steering Committee shall be December 31st of each year. In the event that there are an insufficient number of names to fill all the vacancies, the Steering Committee may extend the period for nominations or accept late nominations, providing the election is completed by January 31st. 4.4.1.3 At least two members of the Steering Committee who are not running for election will be appointed by the Steering Committee Chairperson by December 15th of each year to coordinate and conduct the election of Steering Committee members by electronic ballot. These members are responsible for validation of the ballot and verification of the results. 4.4.1.4 The ballot will be prepared following the close of nominations. 4.4.1.5 The ballot must contain at least as many names as there are vacancies to be filled. Nominees must be eligible for elections, consistent with rule 4.1 of the Steering Committee By-Laws. 4.4.1.6 The ballot will be distributed to all State Data Center Leads, with instructions for voting. 4.4.2.1 Each of the fifty-six (56) State Data Center Leads shall be eligible to cast one (1) vote for each open seat on the Steering Committee. 4.4.2.2 The annual election will be held during the month of January and conclude prior to the end of the month. State Data Center Leads will have no fewer than ten (10) business days to vote. 4.4.2.3 Votes shall be tabulated and the results transmitted to the Steering Committee Chairperson after verification of the results by the appointed Steering Committee members as per rule 4.4.1.3, within five (5) business days after the voting period ends. 4.4.2.4 Steering Committee open seats will be filled in descending order of the number of votes received by each candidate who is eligible to serve on the Steering Committee. An exception to rule 4.4.2.4 of the Steering Committee By-Laws occurs if the descending order results in multiple candidates from the same member geography. If this is the case, then the candidate(s) with the fewest number of votes would be passed over. 4.4.2.5 In the event of a tie vote for the final open seat, a plurality vote of the current Steering Committee will decide the candidate to fill the seat. 5.1 The members of the Steering Committee shall choose annually from among their number a Chairperson, a Vice-Chairperson, and Co-Secretaries. 5.2 These offices shall be determined by plurality vote of the Steering Committee during its first meeting after the election results are finalized. 5.3 The terms of the newly elected officers will begin at the meeting identified in rule 5.2 of the Steering Committee By-Laws. 5.4.1 The Chairperson will preside at Steering Committee meetings and the Annual Conference for the State Data Center program. 5.4.2 The Chairperson shall sign all Steering Committee correspondence on behalf of the Steering Committee. 5.4.3 The Chairperson can appoint any member of the Steering Committee to specific tasks or projects as necessary. 5.4.4 The Chairperson will appoint, from the Steering Committee members, a liaison to the Census Information Center Steering Committee. 5.5 The Vice-Chairperson will perform the duties of the Chairperson in the absence of the Chairperson and shall succeed the Chairperson should the office be vacated before the end of the Chairperson’s term. 5.6 The Co-Secretaries will record the minutes of the Steering Committee meetings and shall report the proceedings to the membership. The Co-Secretaries shall annually provide the State Data Center network with a document that includes an annual review of Steering Committee activities for the year. 5.7 The immediate past Chairperson of the Steering Committee may serve in an advisory position (as outlined in rule 4.2.5 of the Steering Committee By-Laws) to the Steering Committee, for the year immediately following the end of their term. 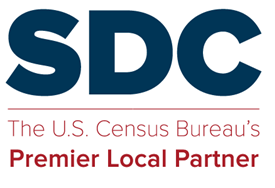 5.8 The appointed liaison to the Census Information Center Steering Committee will attend their conference calls and report to the Census Information Center Steering Committee on the activities of the State Data Center Program. 6.1 The Gustafson Award was established in 2012 to memorialize a State Data Center program colleague, Randy Gustafson from the Tennessee SDC who also served on the SDC Steering Committee. The Gustafson Award was created in his memory to annually honor an individual (or individuals) of the SDC network for their outstanding contributions to the SDC program. 6.2 By October 1st of each year, the Chairperson of the Steering Committee shall appoint a minimum of two members of the Steering Committee to solicit nominations for the Gustafson Award. 6.3 By November 1st, the Chairperson of the Steering Committee shall appoint a group of no less than three (3) and no more than five (5) individuals to review the nominations for the Gustafson Award and make a recommendation to the full Steering Committee for the recipient of the annual award. This group may include any combination of members of the Steering Committee and other individuals who are employed by either a State Data Center Lead or Coordinating agency. The recommendation to the full Steering Committee shall be accomplished by November 30th. 6.4 An announcement of the winner(s) of the Gustafson award shall be made in conjunction with the results of the election for service on the Steering Committee. 7.1 The Chairperson of the Steering Committee may appoint temporary or standing committees as deemed necessary and appropriate to accomplish the goals of the State Data Center Program. 7.2 Representatives of the State Data Center Lead Agency and Coordinating Agencies and Affiliates are eligible to serve on committees. 8.1 Individuals who are employed by a member agency may bring any issue(s) before the Steering Committee by directing written or electronic communication to any member of the Steering Committee. Such communication shall be circulated to all Steering Committee members. 8.2 The individual member originating the communication shall be informed, in writing or by electronic communication, of receipt of the communication and the activity undertaken by the Steering Committee. 9.1 Amendments to these By-Laws shall be adopted by two-thirds of the members of the Steering Committee and subject to ratification by a majority vote of State Data Center Lead Agencies. Each State Data Center Lead Agency shall be responsible for one vote per member geography. 9.2 If an amendment fails to meet the two-thirds adoption by the Steering Committee, the amendment may be returned to the Sub-Committee/Work Group with a written recommendation from the Steering Committee for resolution of issues, which may also include a request for re-submission to the Steering Committee for adoption of the amendment. 9.3 The State Data Center Lead Agency representative responsible for voting shall be encouraged to directly contact other State Data Center Agencies in their member geography for input on casting the vote for that member geography.